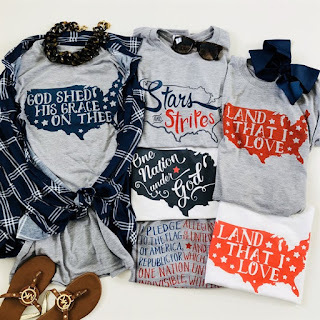 LOVE these Patriotic Graphic Tees for Adults &amp; Youth $13.50 (Retail $24). Choose from 7 Designs printed on a super comfy dri-power sport tee that comes in your choice of Heather Gray or White, in Standard T-Shirt Fit or Ladies Fit. Direct to fabric printing creates a soft design that won't fade or crack. $3.99 for the first item and $2.49 for each additional item. US only. Ships no later than Wed, Apr 18.